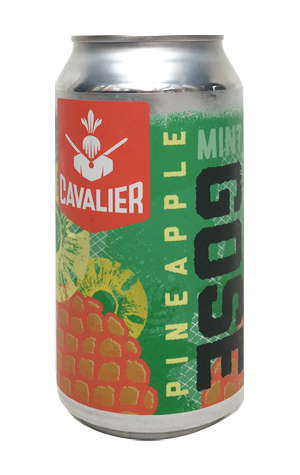 As summer turned to autumn, Cavalier became the latest brewer to put a beer into cans. And this was no tentative dipping of toes into water; nope, they opted for a fruity, salty sour – a collaboration to boot, in this case with their mates at Bar Josephine in Footscray. The beer they landed upon together was their take on the slightly salted and gently soured, wheat heavy old German style, gose, with the weapons of choice on the fruit front pineapple and mint. It pours brighter than many such beers that come our way, with the fruit, salt and souring bacteria most prominent aroma wise. The acidity of the fruit blends with that obtained from the souring to create a finish that's tart, a little salty and pretty cleansing. Indeed, the overall result is a beer into which much has been added to achieve a more straightforward, simple refreshing beer than the ingredients and techniques might have led you to expect.